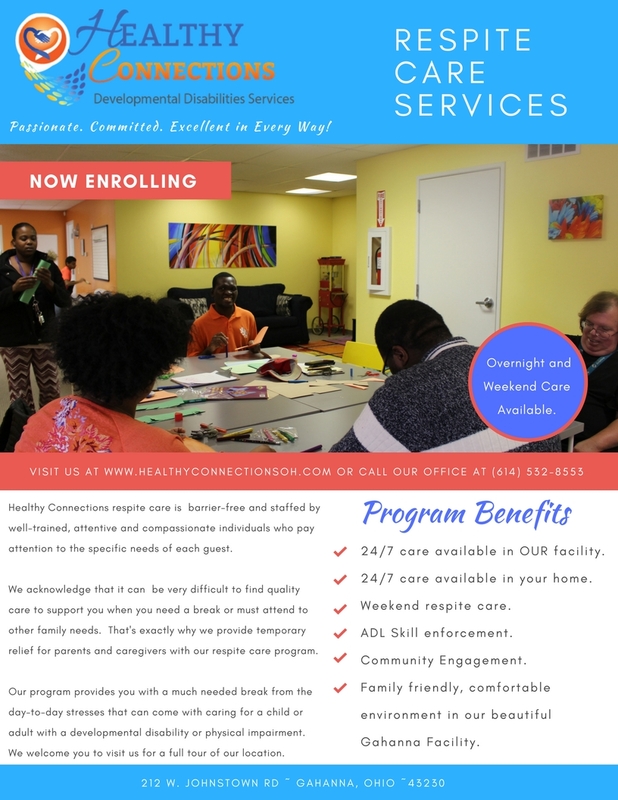 Healthy Connections Developmental Disabilities Services is barrier-free and staffed by well-trained, attentive and compassionate individuals who pay attention to the specific needs of each guest. 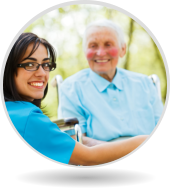 We acknowledge that it can be very difficult to find quality care to support you when you need a break or must attend to other family needs. That’s exactly why we provide temporary relief for parents and caregivers with our respite care program. 24/7 care available in OUR facility. 24/7 care available in your home. Family friendly, comfortable environment in our beautiful Gahanna Facility.